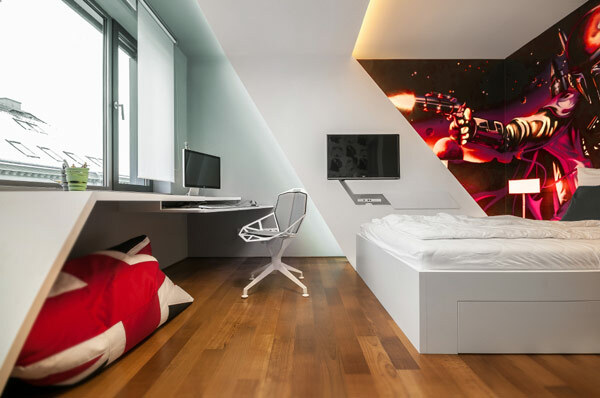 Slovakia is not a destination where one expects to stumble upon inspiring home interiors. 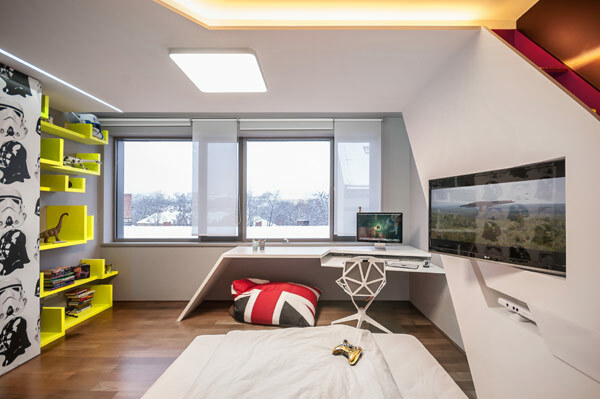 Yet, this gorgeous modern home conceptualized and brought to life by Rado Rick Designers comes from this quickly developing Central European nation. 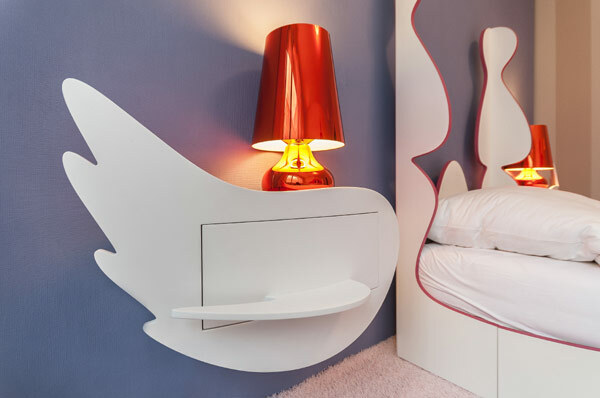 Designing bedrooms that will capture that attention of kids and keep them engrossed is a difficult task indeed. 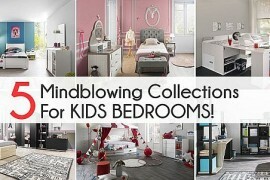 Yet, it is the gorgeous kids’ bedrooms in this stylish home that end up being the ‘show stoppers’. 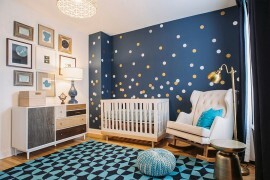 The designers were asked to create two rooms that would cater to the needs of a 6 year old boy and a 2 year old girl. 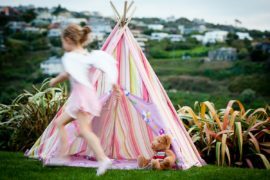 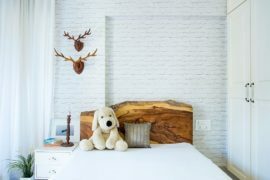 While the tasks sound deceptively simple enough, the hard part was to create rooms that will work even as they step into their early teens. 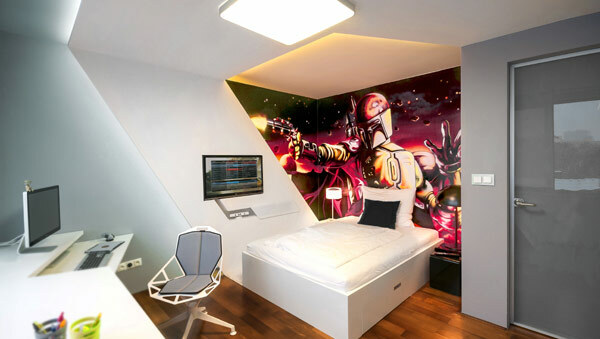 While a ‘Star Wars’ theme was chosen for the boy’s bedroom, the little girl’s room was designed with a ‘princess’ theme. 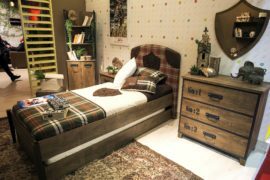 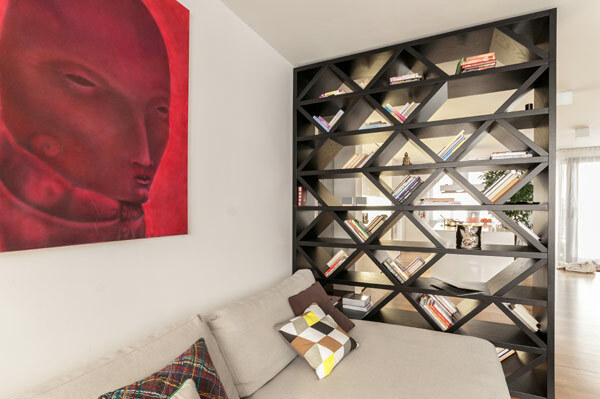 The result is simply outstanding and while the bedrooms incorporate ample color and playfulness, clean and well defined spaces ensure that they are contemporary in style. 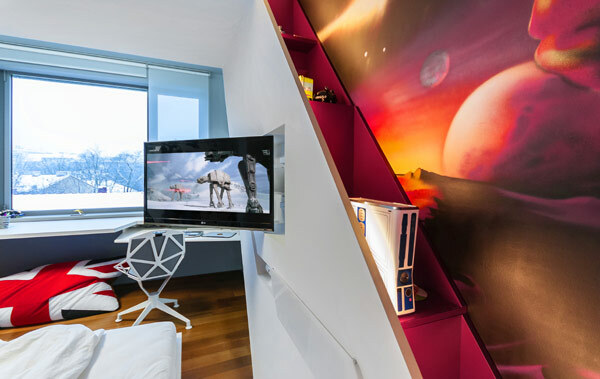 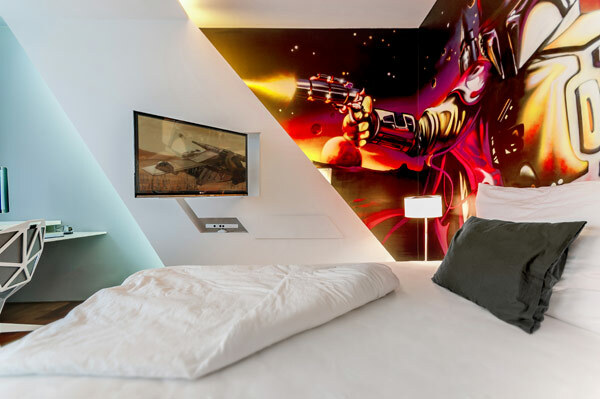 With hand-painted murals in the boy’s bedroom, custom-designed décor that fits the space age look and ergonomic shelves, the bedroom nicely blends in form with functionality. 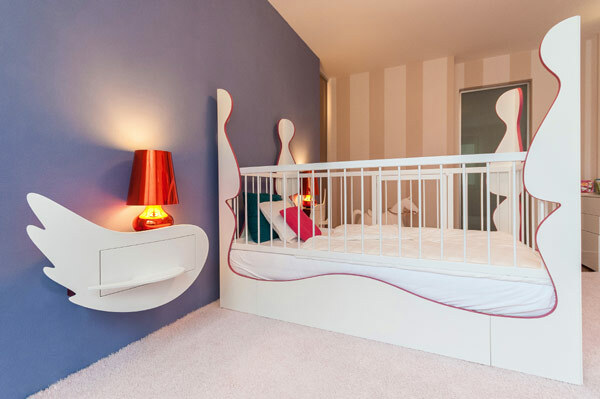 The girl’s bedroom uses a pink and white color scheme with a crib that can easily be converted into a bed in the future. 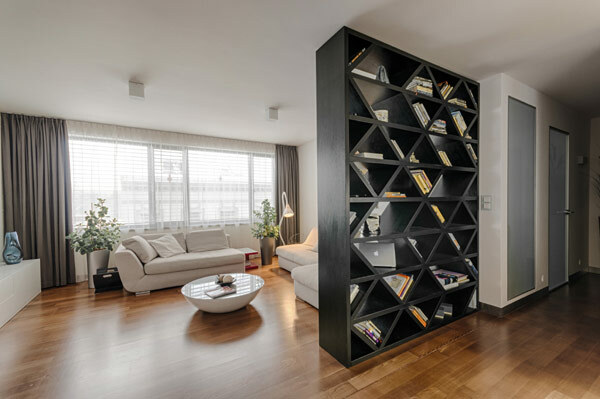 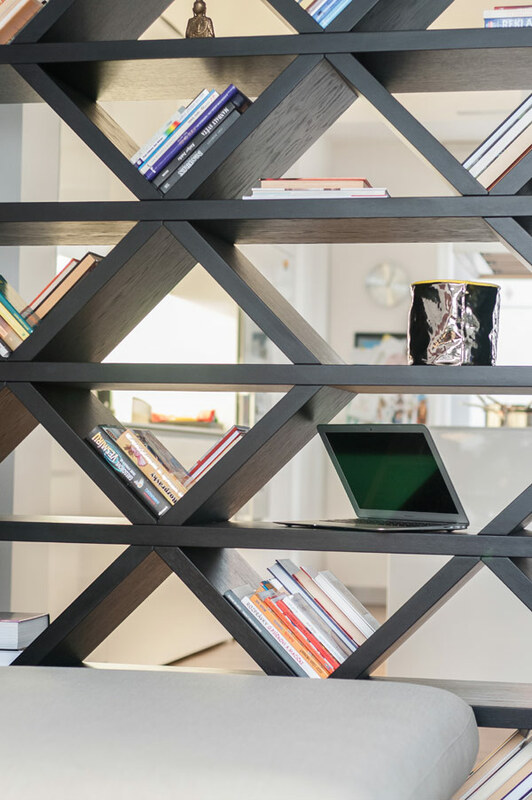 A beautiful bookshelf separates the living area from the kitchen. 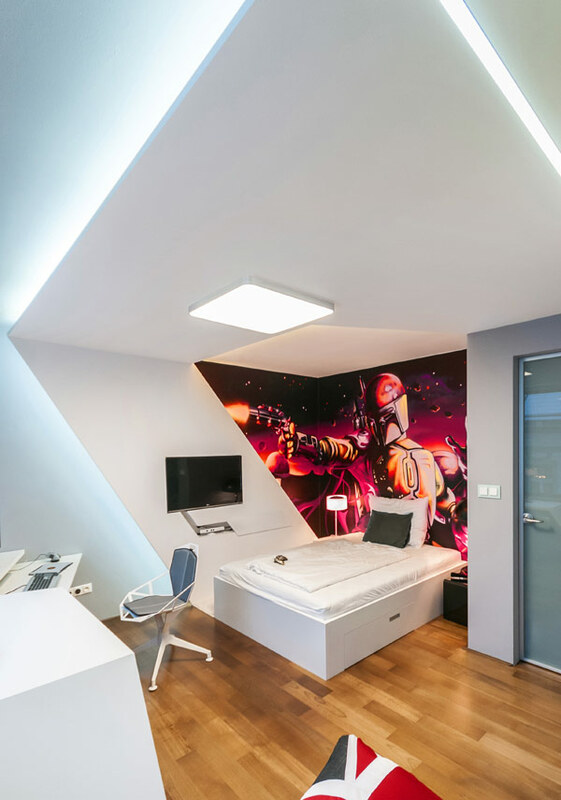 The entire home employs a neutral color palette with cool lighting that fits this chic space perfectly. 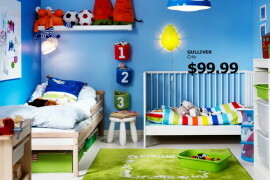 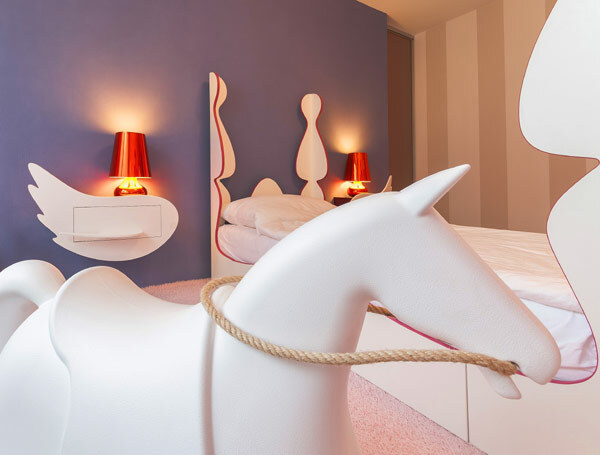 Beautiful Kids’ Bedrooms From Gautier Amaze With Color And Creativity! 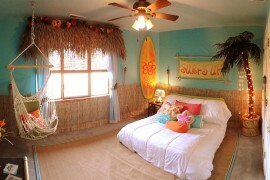 20 Kids’ Bedrooms That Usher in a Fun Tropical Twist!